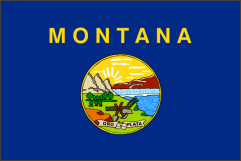 As part of our continued effort to bring members valuable content, we've integrated a new collection of Montana death records covering years 1860 to 2007. Archives.com members now have unlimited access to this collection of over 600,000 unique records. Every record in this collection contains helpful information that may assist you in identifying, or learning more about, an ancestor. Records from 1860 to 1953 generally include these fields: name, death date, and file number. Records from 1954 to 2007 generally include these fields: name, death date, birth date, age at death estimate, gender, and file number. To search these records, just log in to Archives.com and run a search for "Death Records". We'll return the most relevant records from this and other record collections. Start exploring this collection now by logging into your account. You now have thousands of more chances to find your ancestor on Archives.com.. happy searching!